The wait is over. After a year and a half of non-stop negotiations and long line of opponents that said “yes” and after that couldn’t find courage to face the Bulgarian – there will be a fight! And what a fight it will be! Historic! Winning it will mean that the national hero in heavyweight category in boxing will be an official contender for the World Tittle (for the third time after Wladimir Klitschko in 2014 and Anthony Joshua in 2017). The date will be 27 Oct 2018 and the place is “Arena Armeec” in Sofia, the opponent – Hughie Fury – shining star of British box and a cousin of the former world champion – Tyson Fury, who managed to overrule the unbeatable Klitschko when he dethroned him in a fierce match on 28th November 2015 in Dusseldorf. 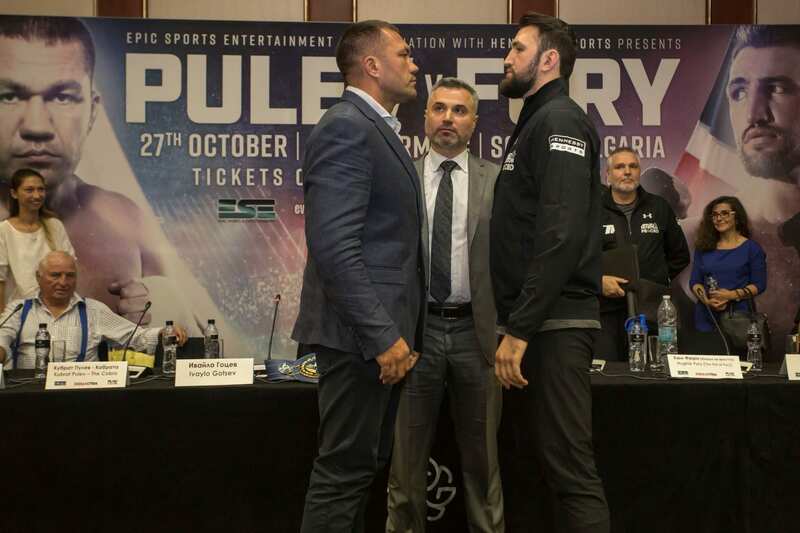 The match between Kubrat Pulev (25-1-13KOs) and Hughie Fury (21-1-11KOs) is announced to be for elimination. He who wins the battle in front of the Bulgarian audience will earn the right to fight for the world title of IBF. In the moment the belt belongs to Anthony Joshua who has to defend it in an upcoming match against Alexandеr Povetkin on 22 Sept.